CREATIVE LEADERSHIP CONVERSATIONS TURN ORDINARY INTO EXTRAORDINARY! Do you or your staff dread going to work in the morning? Does your work environment feel uninspired and disengaged? Are you bogged down by endless meetings that bring little relief? Do you constantly react to tasks that are thrown at you? Are you tired of navigating a non-collaborative work environment? is mentally checked out, overwhelmed or uninspired. Do YOU see indicators of this in YOUR organization? If so – be encouraged. There is a better way! 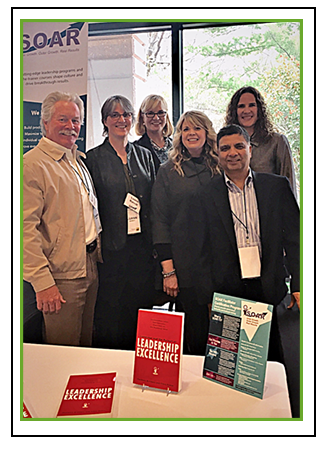 Butler Communication delivers results-focused Leadership Development Training and Executive Coaching to build resilience and flexibility in people and organizations. Our work releases untapped capacities for creativity, collaboration and innovation in the workforce to improve results and workforce culture. What would change for you if you were able to triple-boost your leadership effectiveness? What would your organization gain if your staff understood and successfully managed all their commitments? What if your job felt fulfilling, rewarding, and joyful – not just sometimes but most of the time? Highly motivated Young Professionals, who are looking to activate their full potential. Our work re-energizes leaders and staff to create a positive work environment, improves client satisfaction, results in cost savings due to effective communication leading to improved collaboration and innovation efforts. Many of our clients are pleasantly surprised when our work enables them to rediscover purpose and joy in what they do! Do you know who you are at the core of the story of your life? Do you know when you are at your absolute best and how can you intentionally create purposeful experiences for yourself? How can you let others know, see and appreciate the best parts of you? Can you see and hear the best parts of others that are not at all like you? Come explore your story character during this interactive workshop! Test Your Resilience Level – FREE! What is your capacity to bounce back from challenges? Turn yourself, your team, and your organization into a collaboration and innovation powerhouse. Proven tools and practical support needed to build exceptional teams and create breakthrough results in rapidly changing work environments form the foundation of all our work. The personal satisfaction of making high-impact contributions that produce the results you want! Do you want to realize your and your organization’s full potential? Do you want to build and lead a successful, fully engaged team? © Copyright 2017 Butler Communication. All Rights Reserved. Powered By CP Services. Take the test at no charge.